Andheri East, Mumbai, India- 400069. 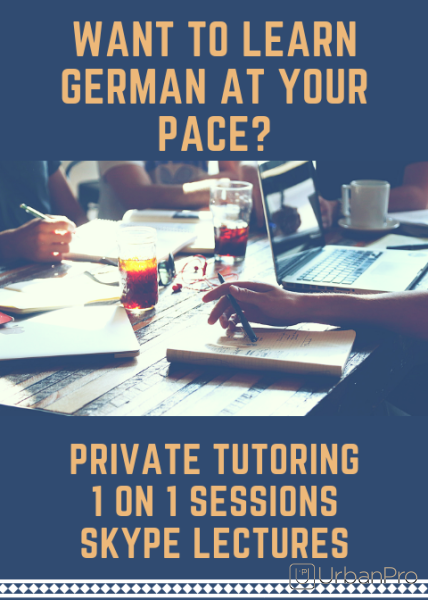 A C1 level Goethe certified German language teacher with over 6 years of experience in tutoring the language. Provided the coaching and developed the language for over 60 plus students catering to all age group namely: Kids,varied professional in many sectors like Engineers, doctors; homemakers, adults, and even older people. Prepared lesson plans according to individuals requirements. Identified students needing extra help as well as those ahead of the curve, and developed individualized plans to better meet their needs. Coordinated with other language teachers to share learning strategies. Prepared assignments and tracked the progress of each student. Developed innovative classroom activities and games to facilitate comprehension. Worked with Atos India as a German language specialist for 2 years. Worked as a German language translator and interpreter with Capgemini, India for 2 years. "Very well organised sessions, Gunjan has great command over the language and the lectures are very practical and easy to learn. 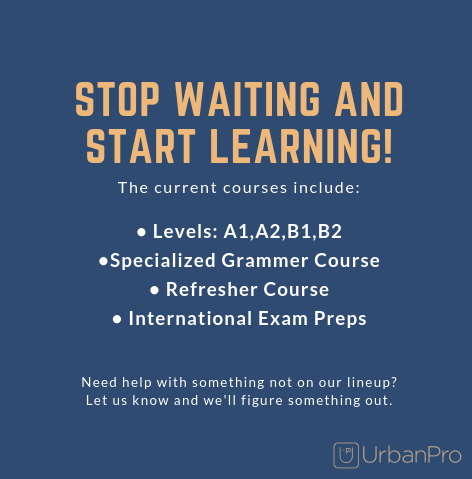 With flexible timings and availability, I am enjoying learning the language skills. I'd recommend taking classes with her. " "I have been attending German classes from Gunjan and she is very good at teaching. 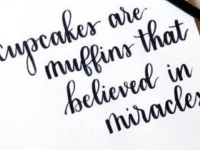 She patiently explains the concepts and repeats every time I have a doubt in the same. Her style of teaching is impressive. She is very flexible with the time. I would greatly recommend her for the German classes. " "I am doing my intermediate level of German from Gunjan. She is one of the best teachers I've found, with a no nonsense attitude and hardworking nature she makes it easy to understand the concepts. I hope the best for her in future. " "Entire course is conducted in a very organised and well planned manner. The lectures conducted are informative and very engaging. " Gunjan Gala describes herself as German Language Tutor. She conducts classes in Calligraphy and German Language. Gunjan is located in Andheri East, Mumbai. Gunjan takes at students Home, Regular Classes- at her Home and Online Classes- via online medium. She has 6 years of teaching experience . 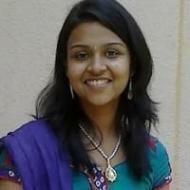 Gunjan has completed Master of Arts (M.A.) 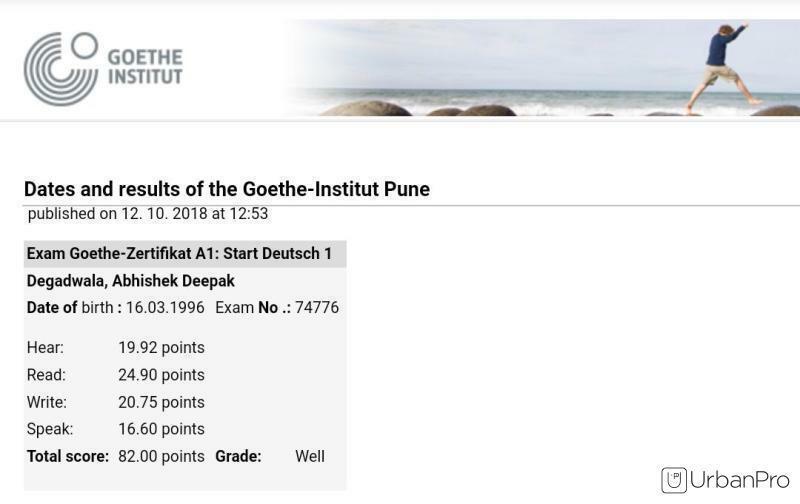 from mumbai university in 2013, Masters in Psychology from Mumbai university in 2013 and C1 level in german language from Goethe institute in 2014. She is well versed in Hindi, German, English, Gujarati and Marathi. Gunjan has got 27 reviews till now with 100% positive feedback.